Jeff Dunn is a senior finance and business professional with over 25 years of experience in accounting and finance in the media and technology industries. He has a consistent record of delivering results, developing cross-functional relationships, and building strong teams. Jeff has been successful at balancing the need for strong financial controls with maintaining operational efficiency at companies in a variety of growth stages. Besides his excellent technical and strategic accounting skills, he has strong international and M&A experience, plus experience in evaluation and implementation of financial systems. As CFO of Getty Images, Jeff oversaw all aspects of accounting and reporting for the acquisition of the company by a private equity firm in a reverse IPO. 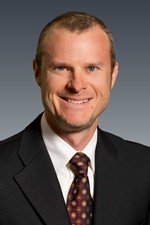 As Controller at Tektronix, he managed closing and reporting process across three business divisions worldwide and participated in the evaluation of many potential acquisitions and the divestiture of several businesses and product lines, including the sale of the color printing division to Xerox for nearly $1B. 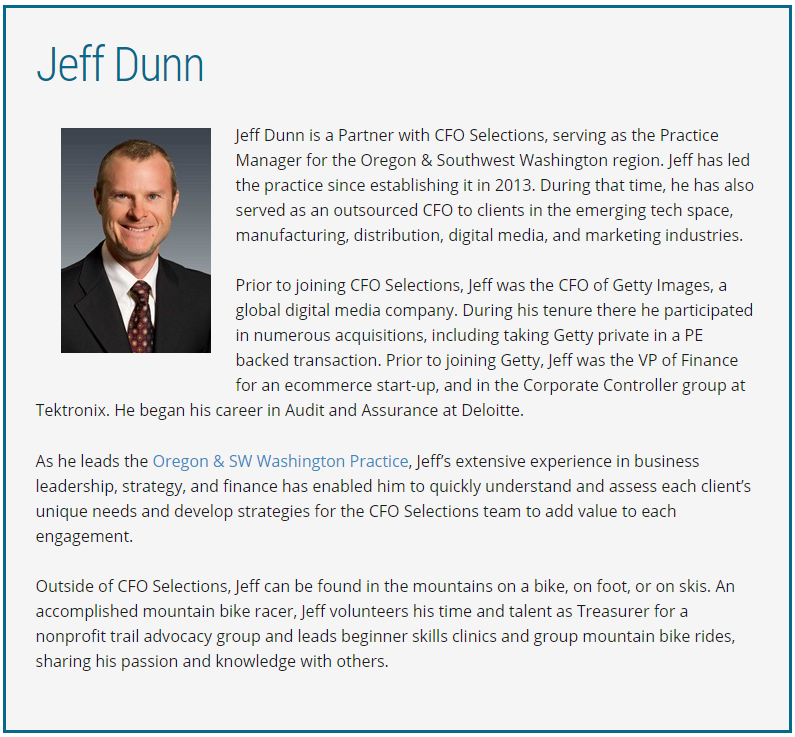 Jeff began his career at the Portland office of Deloitte and Touche, in the Audit group. Jeff holds a BS in Business Administration from Portland State University. He enjoys biking, hiking, skiing, camping, traveling, and cooking – and the eating that inevitably follows.